Royal Ascot delivers five days of World Class racing, including 16 Group 1 races, high fashion, exceptional millinery and pageantry. It is unlike any other event in the World. Royal Ascot is synonymous with sartorial elegance, we have an extensive selection of hats suitable for Ascot, and can advise on what is accepted in the Royal Enclosure. Please don’t hesitate to contact us for help and advice. Our hats get booked up early ahead of Royal Ascot so contact us as early as you can to ensure you get your first choices. 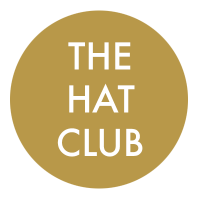 We will be offering an on site pick up and drop off service for your hats at Royal Ascot between 10am and 6.30pm each day. Hire terms are daily for Royal Ascot. Fascinators are no longer permitted. That’s not to say you have to wear a large brimmed hat, you can still wear a gorgeous cocktail hat or a small based headpiece, but anything you wear on your head MUST have a base that measures at least 4 inches (10cm in diameter). Jackets and pashminas may be worn. Dresses and tops underneath should still have straps of one inch or greater and still comply with the Royal Enclosure dress code. Trouser suits are welcome, but they must be full length and of matching material and colour. Midriffs must be covered. As if you wouldn’t! Hats, headpiece or fascinators should be worn at all times. Dress as if you are attending a formal occasion. Jackets and pashminas may be worn, with dresses and tops that comply with the dress code. Trousers must be full length. Shorts are not permitted. No fancy dress or novelty outfits.